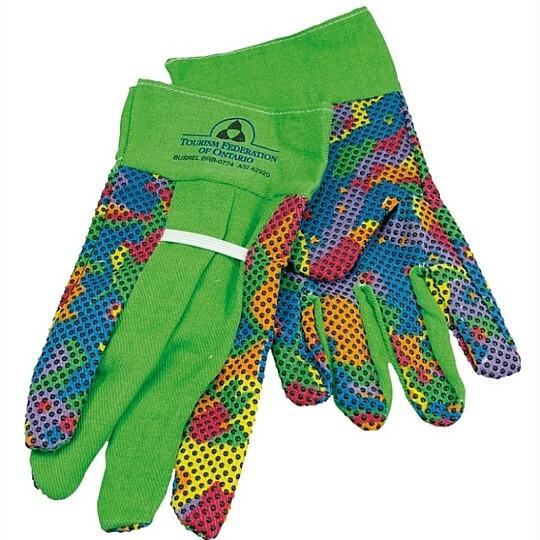 Bright multi-colored cotton work gloves with non-slip rubber dots. Green cuff. Size medium only. Bulk. Price includes your silkscreened imprint on both gloves. Box dimensions: 25 x 18 x 10 1/2 in. Unit weight: 0.100 Pounds.